So now that we are well into January, we're in the throes of post-holiday binges and healthy eating galore. As I look for healthy recipes, I find myself turning toward Gwyneth cookbooks. 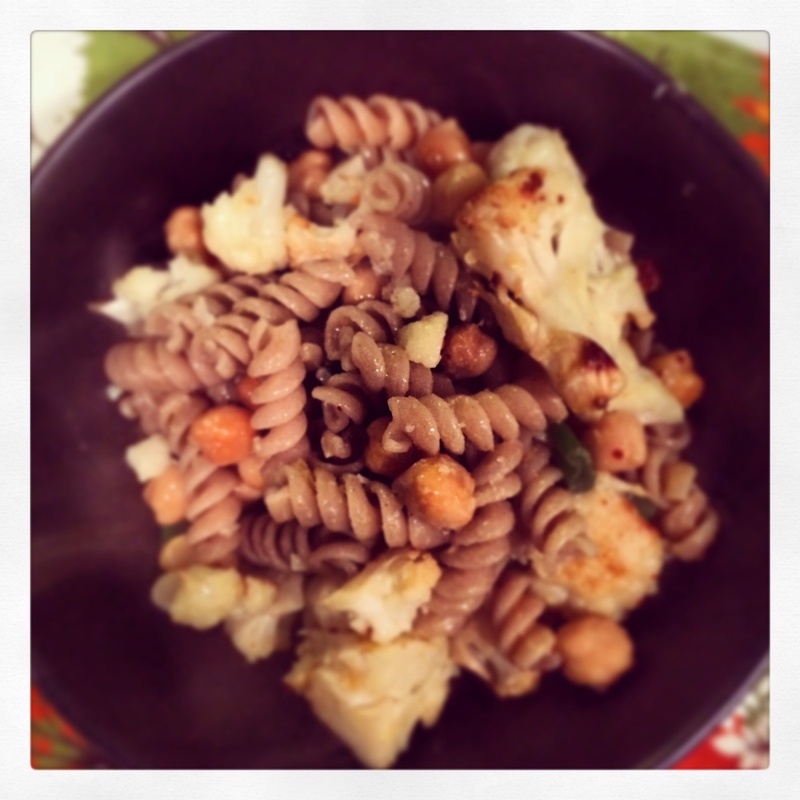 I found a roasted cauliflower with chickpea recipe, and decided to spice it up with whole wheat pasta to make this vegetarian dish a bit more hearty. Preheat oven to 400 degrees. In a baking dish, toss the cauliflower and chick peas with olive oil and salt. Bake for 40 minutes. Boil a pot of salted water, add pasta, and cook for five to eight minutes. Drain and set aside. Meanwhile, whisk together the mustards, and two tablespoons of olive oil. Add in scallions and set aside. In a bowl, mix together roasted vegetables, pasta, and stir with mustard sauce. Drizzle with olive oil and add black pepper. Top with parmesan. Enjoy.